On-shore pipe line is in use since from old days for discharging potable water, sewage sludge and for many other uses. 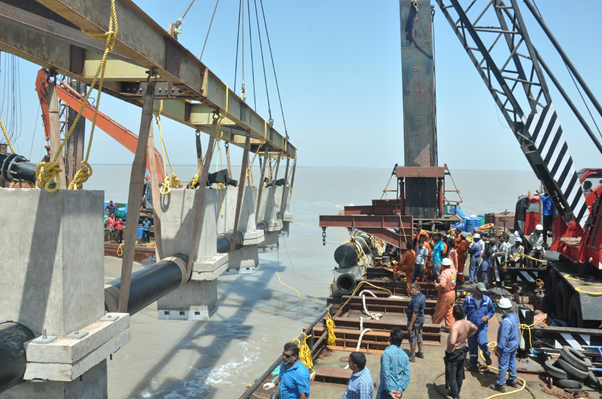 On-shore pipe line will be laid either submerged or on above ground level by providing anchorage blocks. In some cases it is necessary to provide anchor blocks in onshore submerged pipe line due percolation, seepage and due to high rise in GWT. Now a day’s offshore pipe line is extensively used in many places especially near to industrial areas for importing and exporting the chemicals, and other gaseous materials due to its unique in use. The designers, execute personal and workers comp attorney should design and execute in such a way that should not cause any damage to flora, fauna and people during installation, execution process till to design period end. 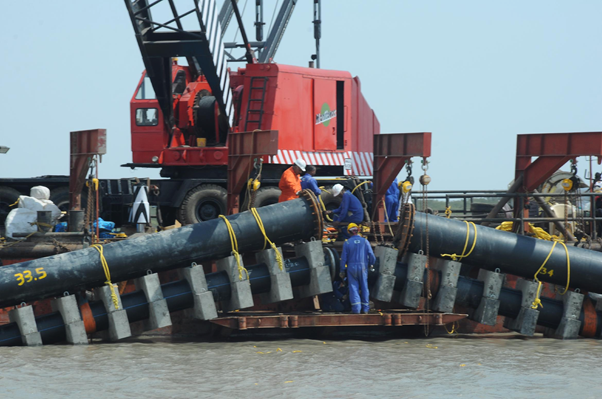 Offshore pipe line is challenging task to plan, design and to execute in site. The designer has to consider all the wave and current data for sustaining the pipe line design period of pipe line. 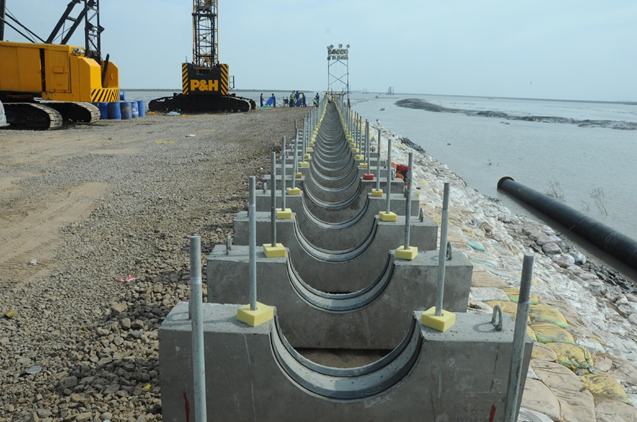 In all designs of Off-shore pipeline it is preferable to be laid submerged under the bed, for avoiding the pipeline direct contact between current forces and pipeline. It is desirable to keep the excavated soil far away from the trench for avoiding the desiltation. The above picture shows the excavating of soil. 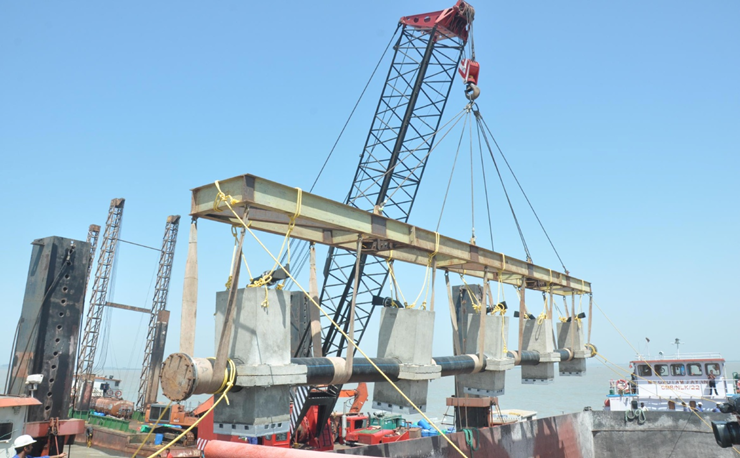 To attain proper stability of pipeline in Off-shore it is necessary to provide anchor blocks at specified spacing on level ground, to avoid the differential settlement of pipeline. The lower and upper blocks should be given ample rubber padding properly to avoid the direct touch of pipe to the anchor block. The crucial part of installation of pipeline is launching the string from ground to water. Number of cranes, Spreader bars, Shackle and ropes will depend on the string length and weight. 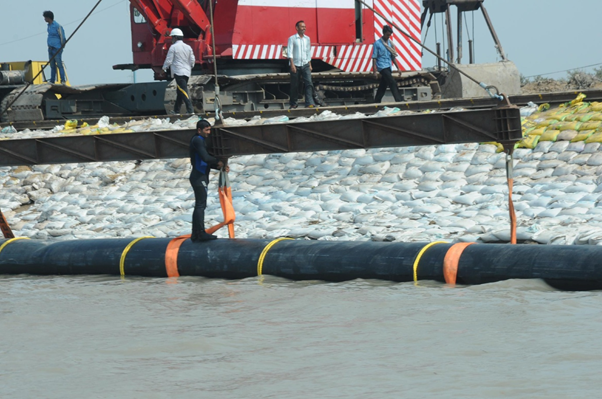 After successful launching of string into trench it is advisable to separate spreader bars and ropes from pipe line and maintaining the sufficient spacing between causeway to pipeline for avoiding the damage to causeway. Towing the pipeline with proper buoyancy will make the string to carry up to the trench and by removing the buoyancy pipe for free falling of the string will take active part in installation. 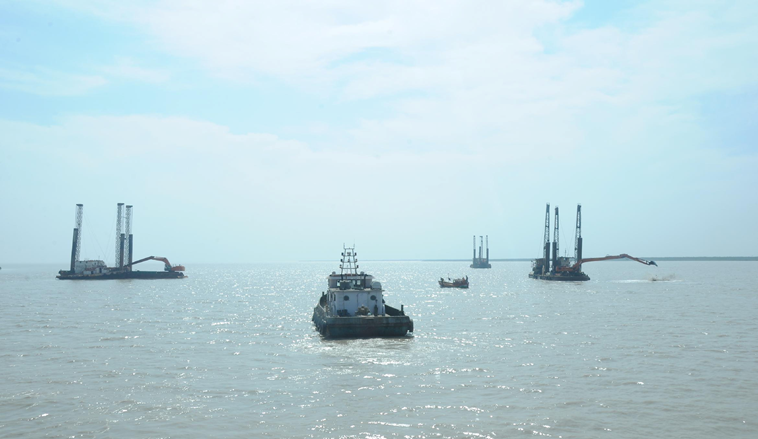 The one end of the pipeline will be holding at one end of the barge on platform at stationary position and the other end of the other pipeline will take near to the stationary pipeline for jointing. It is necessary to keep rubber padding on the platform to avoid damage and fixing hvac repairs for anchor blocks. 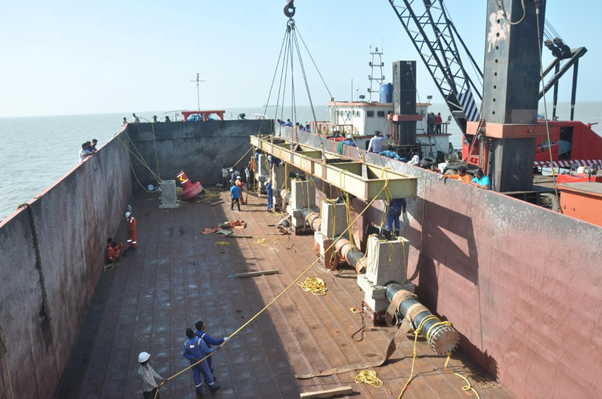 For installation of Multi port Diffuser at end of the pipe line it is advisable to assemble the anchor blocks with pipe, ports and risers with proper care. 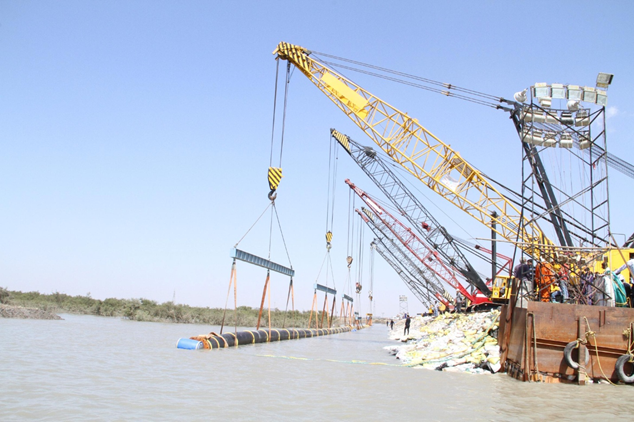 By taking the whole section to end point it is carefully lifted up from barge and place in the location, before placing it is necessary to provide sufficient pebbles or aggregate to counteract the uplift force.